Two suspicious packages mailed to the Pentagon tested positive for ricin Tuesday, prompting a shutdown of a mail processing facility that is separate from the Pentagon itself, a spokesman confirms. In the wake of the Sept. 11 attacks, the Pentagon built a massive underground remote processing facility on the west side of the building to screen all deliveries, including mail, into the building. A piece of mail delivered to the Pentagon mail facility has initially tested positive for ricin, two US defense officials tell @barbarastarrcnn @rabrowne75. The mail facility is a separate building on the Pentagon grounds. The piece of mail never entered the Pentagon building. Two suspicious envelopes at a Department of Defense mail processing center suspected to contain the deadly toxin ricin were mailed to the Pentagon addressed to Secretary of Defense James Mattis and Chief Naval of Naval Operations Admiral John Richardson, a source familiar with the incident told NBC News. There were no indications anyone has been exposed to the suspicious substance, according to the source familiar with the incident. 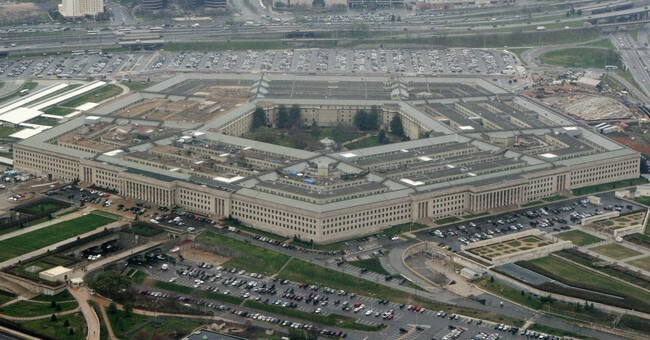 Earlier Tuesday, Pentagon spokesman Christopher Sherwood said the envelopes were addressed to someone at the Pentagon but declined to identify who they were sent to.